Essay contest-Win a business class, late model laptop if you are between the ages of 11 and 15. 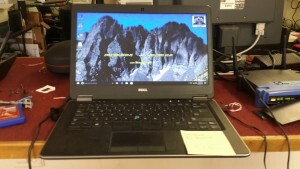 It is a lightly used, carefully refurbished, Dell Latitude E7450. If you were to invite someone from history to step out of their time into yours in order to give them a few days or weeks with the internet and a laptop computer, who would it be and why? What do you imagine they might accomplish to add to their legacy? It should not be a religious leader or prophet, and it must be someone who died before 1970. 1) Your essay must be not more than 200 words. 2) In order to be considered, it must have your name, age, school, phone number at the top. 3) You must deliver it to our shop in person at 1842 S. Parker Rd., unit #19 mon-sat 10am-6pm. You must hand it to the manager. 4) If your essay is one of the finalist, you will be called by the shop owner who will ask you 3 questions about what you wrote. your essay will be put on the wall in our store and placed somewhere for viewing at your school.